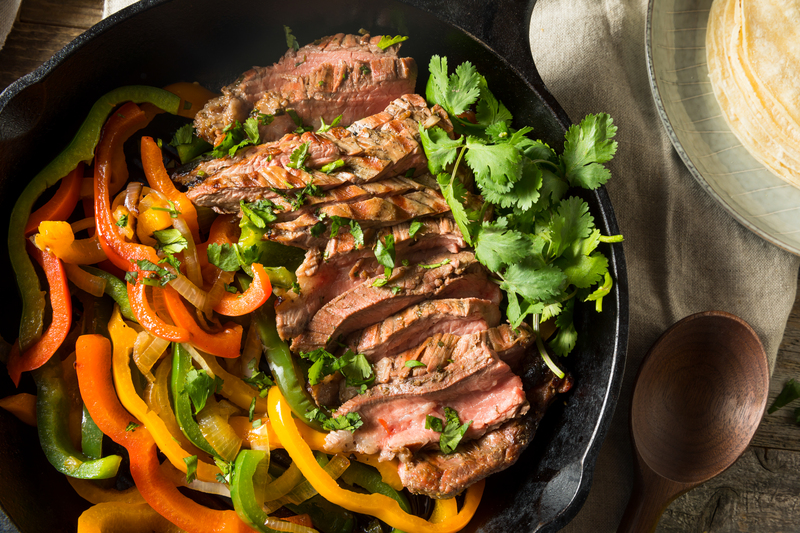 Quick, easy, and incredibly delicious, our recipe for Brad’s Angus Beef Fajitas is sure to please! Thinly slice steak and add to marinade ingredients for 2 hours. Remove and dry. Heat oil in pan and sauté meat, peppers, and onions until cooked to desired doneness. Serve in warmed tortillas with sliced avocado and sour cream.